Latin flavors with some French influence. We had lobster nachos, shrimp sopes, beef tacos, mussel and shrimp stew. Also one of the best wines I’ve ever had. 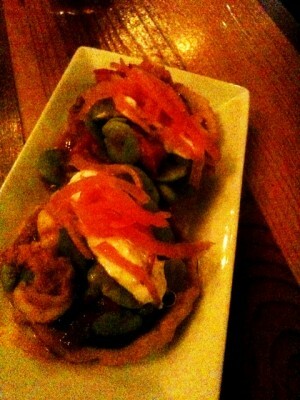 The sopes and the wine are pictured. An all time favorite. All Latin with some amazing Caribbean influences. 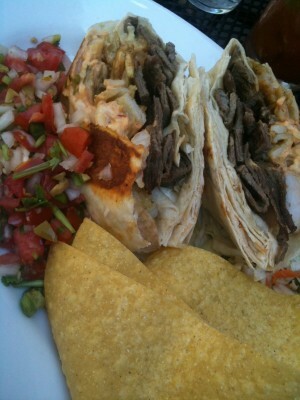 We had a Yucca and Pork plate and a shrimp/beef burrito. Indian street food. We just had snacks here. I was cramming in as many places as possible! 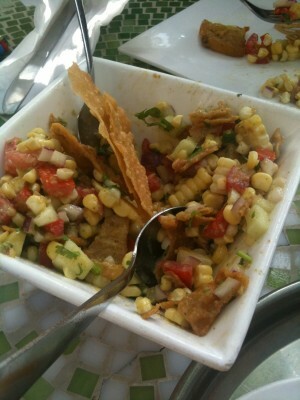 We had a fresh corn salad, green tomato pakoras, and masala fries. So this was a highly recommended tapas bar and while I knew it was going to be good because of the people that suggested it, I did not bring my camera because I thought, there is no way I’m blogging about tapas. Of course it was an amazing meal and I am sad that I have no pictures. 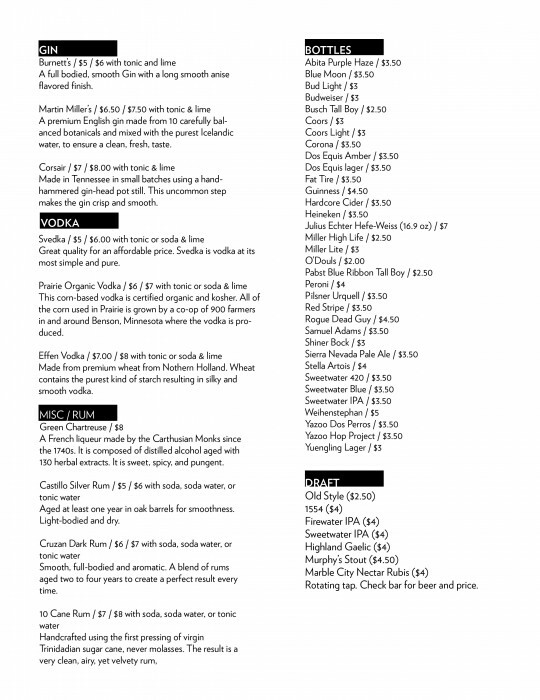 The menu is extensive, the prices are great. We stuffed ourselves and got away with less that $100 which included a large pitcher of sangria. 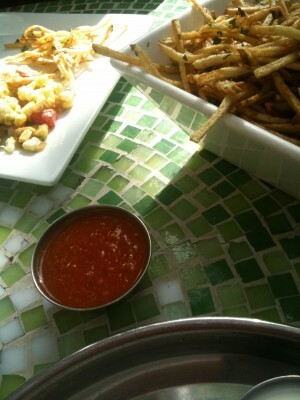 The best item was a potato salt cod dip. According to Wikipedia a condiment is: is sauce or seasoning added to food to impart a particular flavor or, in some cultures, to complement the dish. They may also be dry, such as a mixture of herbs and seasonings. Many condiments are available packaged in single-serving packets (sachets), like mustard or ketchup, particularly when supplied with take-out or fast food meals. Love it or hate it, Ketchup is the dominant condiment in the United States. It began as a pickled fish sauce called kÃ´e-chiap or kÃª-chiap in the 1690s in China. A far cry from the generally high fructose sweetened sauce we eat now. According to Wikipedia tomatoes were not introduced to this sauce until about a century later, the early 1800s. 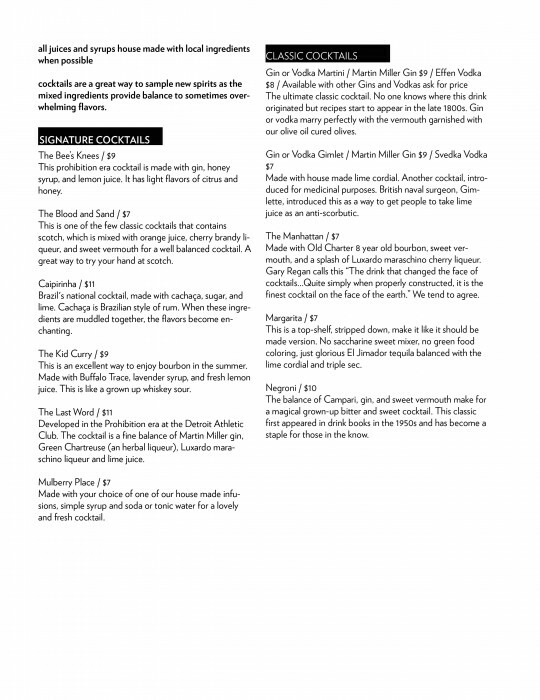 One of the first recipes appeared in 1801 in the Sugar House Book. Ketchup has largely stayed the same over the years. There are very few fancy ketchup brands on the market. Go to almost any grocery store and there are no less than 10 kinds of mustard. All different flavors and varieties and price points. Not Ketchup. Everyone probably has a ketchup food memory from their childhood and it was likely Heinz. So tell me, do you love or hate ketchup? What’s your favorite thing to put ketchup on? My secret favorite way to have ketchup – A fresh off the griddle American grilled cheese sandwich dipped in the viscous red sauce. Want to experience more condiments? 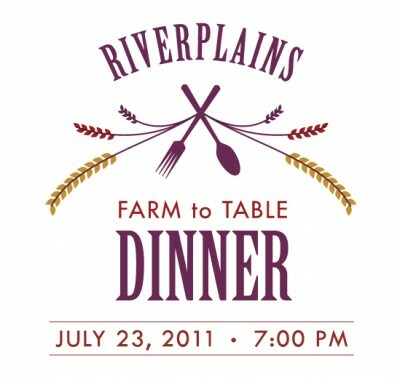 Join us for the Riverplains Farm to Table Condiment Dinner July 23. Tickets here. BBQ at the Public House!!! Jim is going to be smoking up some pork butts at the Public House. 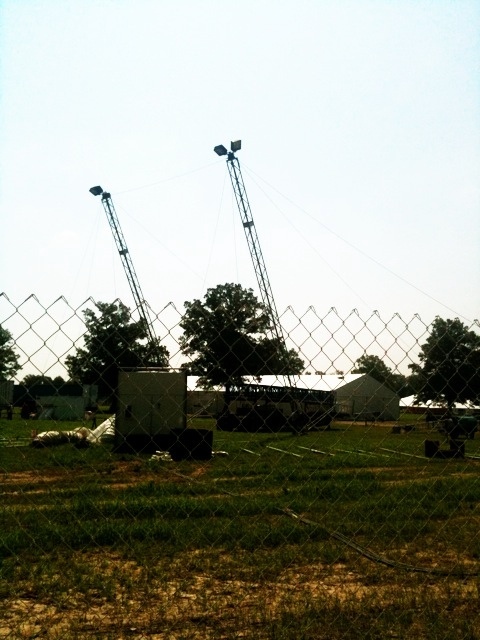 Saturday June 25, we’ll start serving at 6:00. Matt will make a market fresh slaw. We’ll serve it up with chips, bread and Jim’s special sauces: a South Carolina style, mustard based sauce and a Western North Carolina vinegar red-pepper sauce. Come have a plate for dinner! 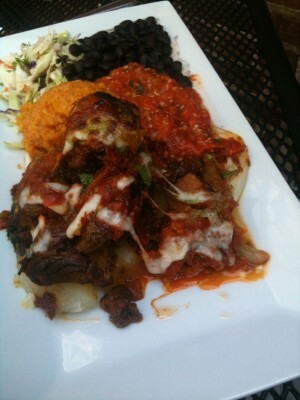 Posted in Uncategorized | Comments Off on BBQ at the Public House!!! 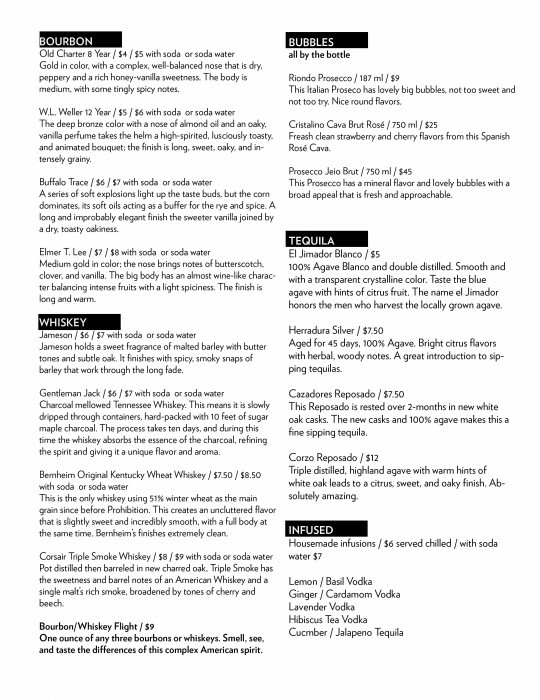 We’ve been remiss in getting our latest menus online. 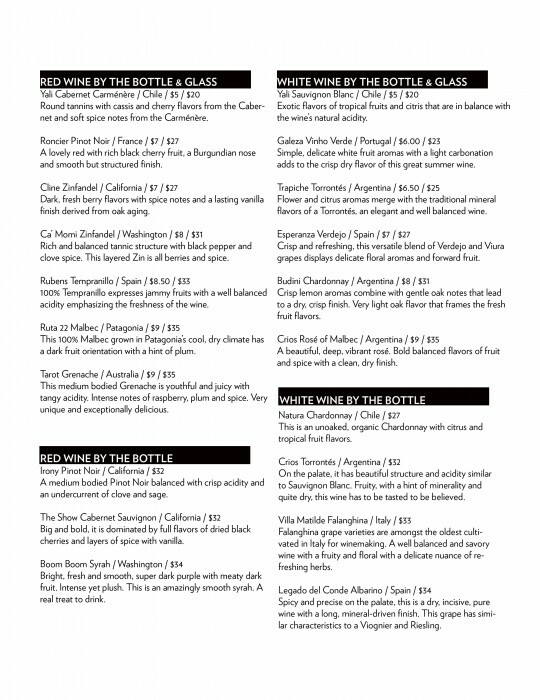 If you haven’t come down to try the new wine list, you should! Lots of interesting wines. Most of the wine bottles are on discount Mondays. Other specials include, discounted tequila on Tuesdays and family happy hour on Saturdays from 4 – 7. Kids get a free house made soda during these hours and grown ups get beer specials! You don’t have to wait for Mardi Gras to indulge your inner Cajun.Â Laissez les bons temps roulez any time you please with this spicy, lip-smackingly good ham. This relatively new production riffs on the popularity of herb-crusted cheeses; in the final days of aging, the pasteurized goat cheese is rubbed with a fair quantity of rosemary and lard. The essence of the herb permeates and complements the tangy-sour cheese. Riverplains Farm to Table – Condiments! Summer is back and that means Farm to Table dinners at Riverplains! Buy tickets HERE. Join us July 23 at 7:00 PM for cocktails and dinner under the stars. Salsas, chutneys, dips, and sauces will be the focus of the small plate style dinner. Historically condiments were a way to preserve the harvest and increase nutritional value of other food, now a days they add depth and flavor to our food. Over on the Hilo Brow blog there is a great article about the history of condiments, while ketchup has it’s own Wikipedia page! The dinner condiments (including an assortment of pickles) will be made with the certified naturally grown produce from the farm, accompanied by Riverplains beef, pastured pork and poultry as well.Â Now a days condiments can be an after thought but not at this dinner. Join us to celebrate the sauces, dips, and chutneys that enhance the bounty. We will announce the full menu in a few weeks. Posted in Uncategorized | Comments Off on Riverplains Farm to Table – Condiments! 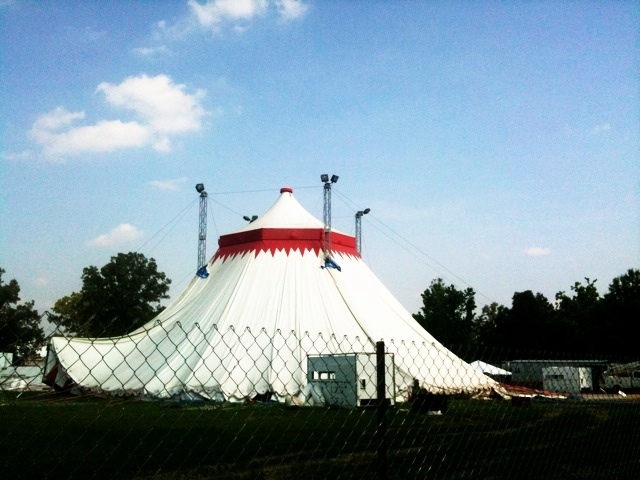 Posted in Uncategorized | Comments Off on Big Top Set Up!